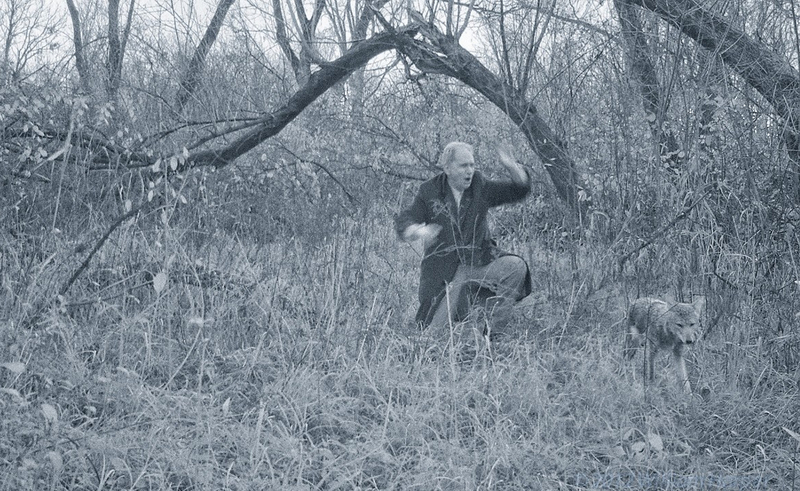 Who knew when trail cams were invented how much love they would give back to society. 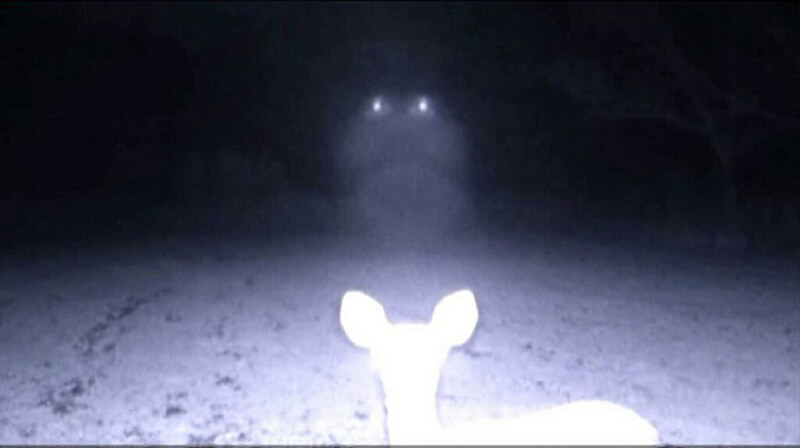 A deer trying to have a private frolic is suddenly startled by a flash makes the wackiest face! Then there are the times it looks like that wolf over there is posing for the camera. He’s fully aware of how majestic his fur looks blowing in the wind. 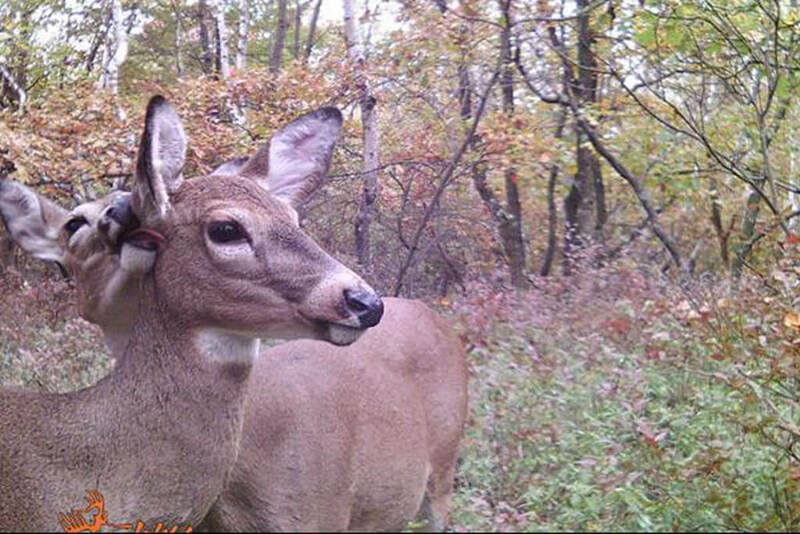 If you’re looking for the photos of animals caught on trail cams, you’ve come to the right place! Just wait until you see what happens when eagles don’t get along! What’s in the barrel Mr. deer? This buck found something he likes and has decided to take it. After all, no one is going to brave enough to step up and stop him. 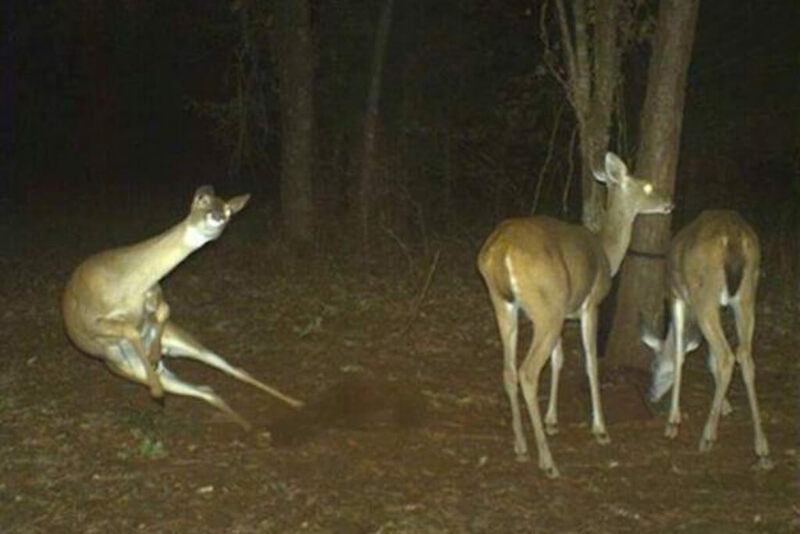 Really it’s a perfect crime; the only witness is the trail cam. 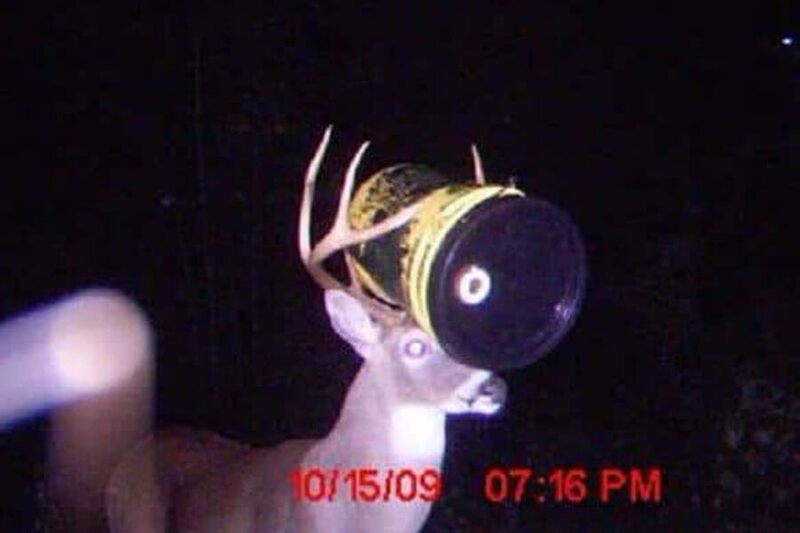 With no humans around and hundreds of other deer that look exactly the same, good luck finding this barrel thief in the wild! He’s probably halfway to Albuquerque by now. Horns are just inconvenient for a buck. This young stud will never get the tumbleweed off his head. Maybe if someone had been around when he walked past the camera, his problem would be solved. Instead, we get this comedy gold. We just wish we could see his deer friends’ reactions as he walks back into the woods. Hopefully, he has a good sense of humor about himself! Next up is a bear with zero sense of humor! We’re sure happy we weren’t around for this incident. The bear in the picture is running at something. Perhaps a salmon escaped the river! Maybe this furry friend just likes getting their 30 minutes of exercise a day. 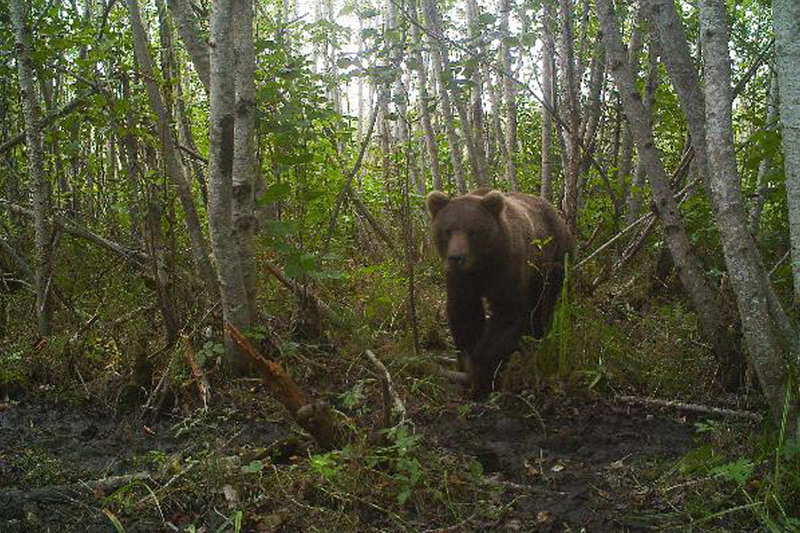 The bear isn’t running at the trail cam; we know that for sure. If it was, the angle would be different, and we probably wouldn’t have this heart-stopping picture to enjoy! We think this bear might be running to the deer party coming up! No humans were harmed in the making of this picture. Deers hanging out in large groups in the woods should be adorable, not more frightening then swimming with sharks! We’re not sure why this man is chasing this wild dog on the trail, or why he’s dressed so nice, but we have our guesses. The most likely one is the wild dog stole something that didn’t belong to it. Or this man is just protecting his property. Perhaps he owns a near by farm and spotted this hound eyeing one of his chickens. The last thing anyone would want is to give away a free meal in this economy! Otters are really good at being cute during the day and convincing everyone they’re just water dogs. At night their true colors come out, and they become adorably vicious hunters. 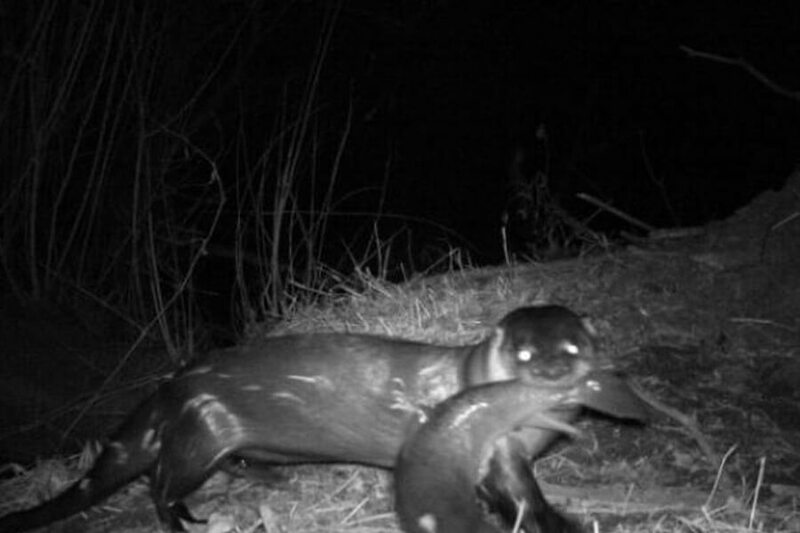 Today in the battle of otter versus huge fish, otter clearly won. Now please excuse Mr. Otter as he makes his way back to his den (do otters live in dens?) to enjoy his midnight snack. He’ll be back to being man’s best water friend in the morning. You what animals isn’t man’s best friend? The owl coming up next! Here we have a deer trying to have a peaceful midnight stroll: take in the sights, contemplate life, and look at the stars. Then what happens? An owl swoops down out of nowhere to ruin the peaceful evening! How rude! Hopefully, our feathery friend didn’t think this deer was dinner. That would bring a new meaning to the saying, “eyes bigger than your stomach!” Last time our eyes were bigger than our stomachs it turned out about as well as this owl’s life is about to. Right around the corner, eagles who don’t like each other! 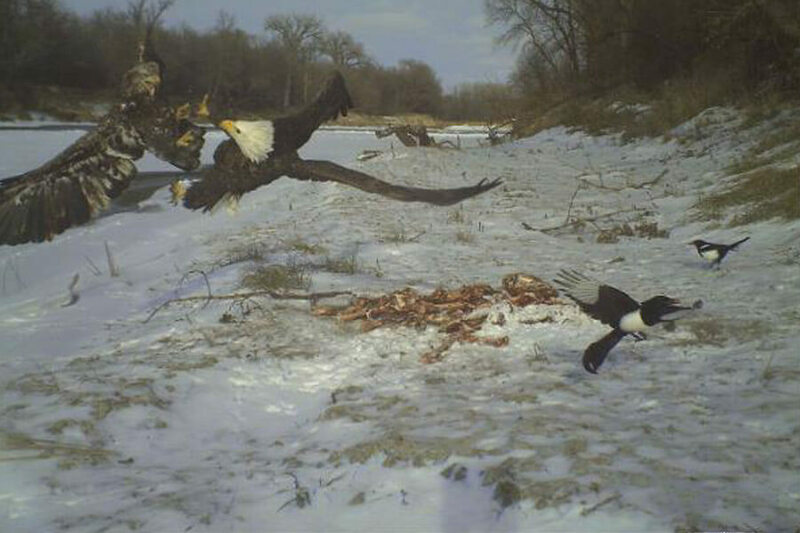 We’ve all seen the “eagle nest cam,” but how about the “eagle war cam?” This trail cam just gave us something incredibly unique and frighteningly fantastic. These two eagles are fighting over something; probably a fish or snake. Anyone else notice the audience of smaller birds gathering to watch the fight? We might be witnessing some sort of gladiator event never seen before in the aviary kingdom! Which side of the battle are you on? We’re team bald eagle for sure! 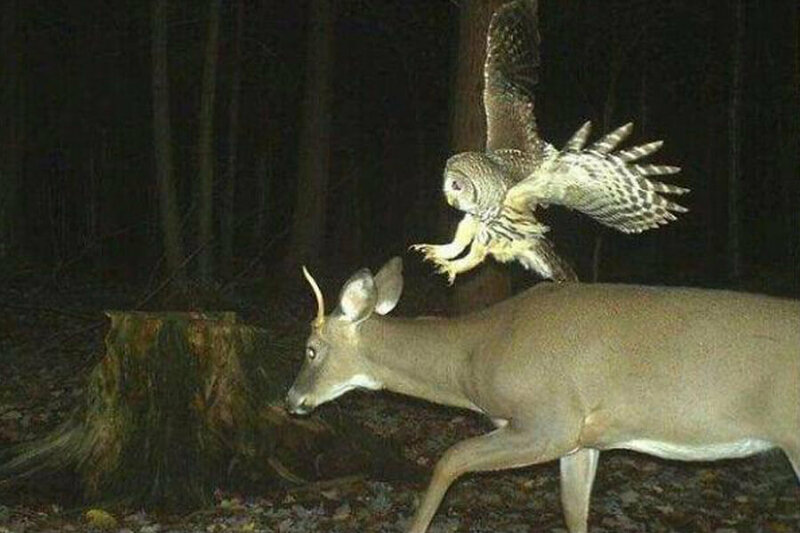 This trail cam was either set off by the deer or the bird. Wait, that’s not a bird; it’s a squirrel! What kind of mad science is this? 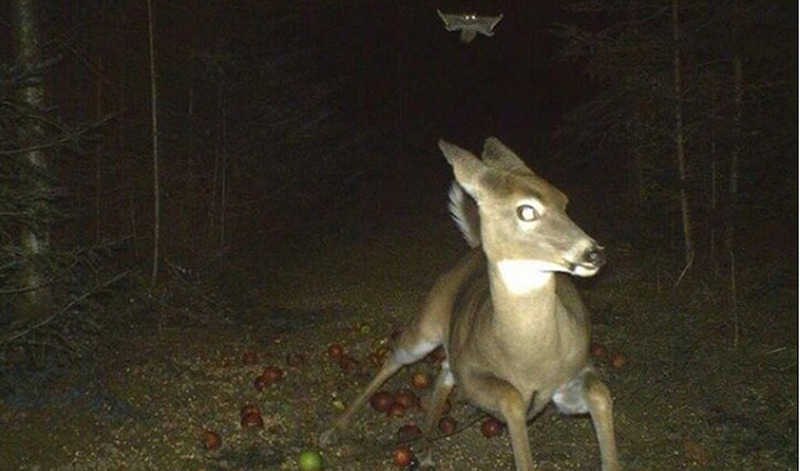 We assume this squirrel thought flying over the deer was the fastest way back home. It’s definitely not attacking the deer. You can see food hanging from its mouth. We’re also guessing this tiny guy didn’t suddenly think it was a bird. Then again, stranger things have happened because “life finds a way.” Did you know, for instance, raccoons could take selfies? This raccoon really took advantage of a great opportunity. It knew there was a trail cam in these woods. It’s probably been caught on camera a few times. Now its just posing. We don’t blame it though. We’d love to take a casual selfie with deer grazing in the background! The only thing this photo is missing a selfie-stick. It’s not a true selfie these days unless a selfie stick is involved! We’ve never seen a group of happier raccoons. They found a ton of spilled food and are partying the night away while eating. One has had its fill and passed out, waiting for the morning light to come. Another has taken up residence in the middle of the food pile. This is its life now. It doesn’t care about your judgment. It’s living its best life! This is one party we’re glad we weren’t invited to. Don’t worry, up next is a mother fox to remind us there’s beauty in nature. 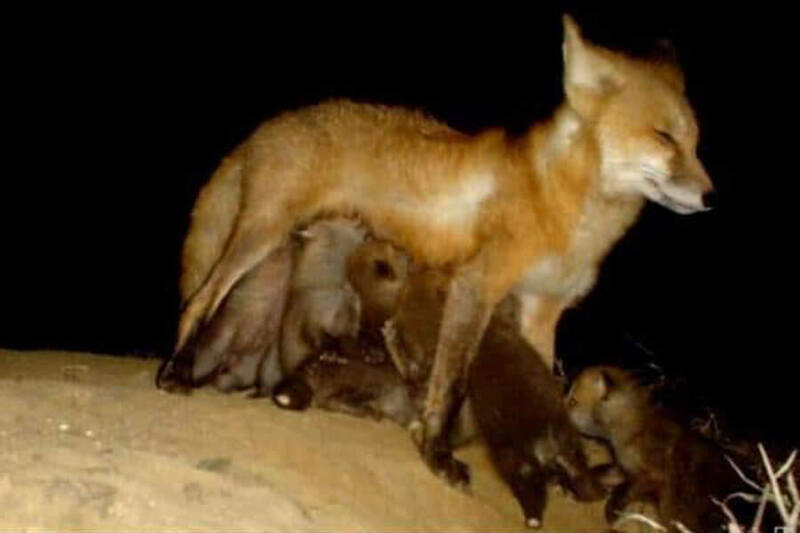 There’s no way this momma fox knew she was feeding her youngers while perfectly framed in front of a trail cam. She also doesn’t care. Her puppies are happy, and she is happy as a result. What a proud momma! 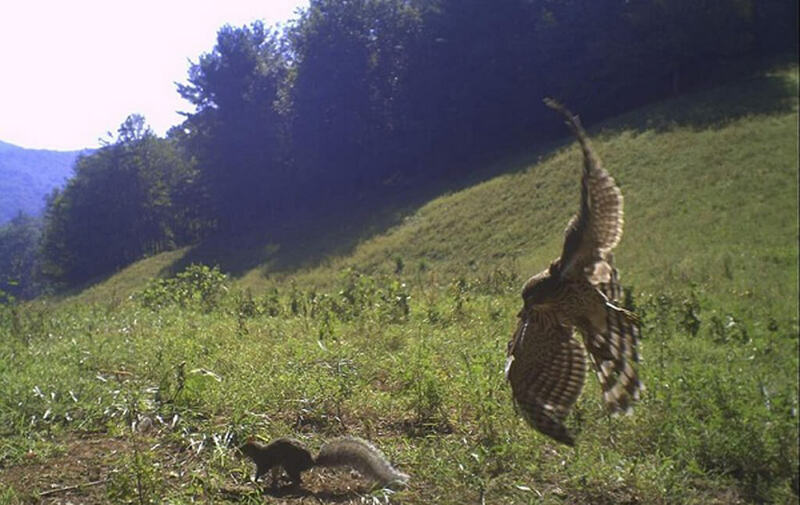 This picture is proof of the incredible photos that trail cams are capable of catching. Nature is a beautiful thing, and this fox mom with her baby is one of the most beautiful pictures we’ve ever seen. For those confused; yes, that is a wildcat riding a buffalo. It’s good to know Lyft and Uber exist in the wild. This wildcat had better remember to tip its driver. The last thing it needs is a stampede waking it up in the morning. 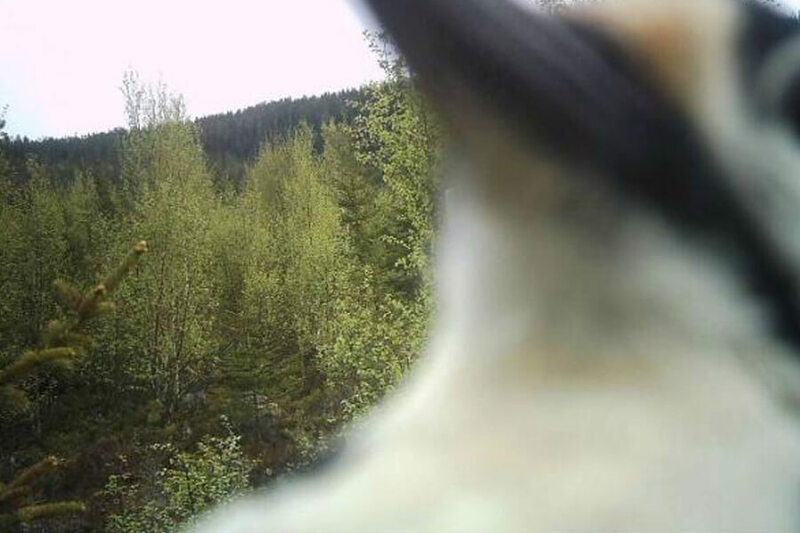 It’s incredible to us how animals seem to know when trails cams are there. 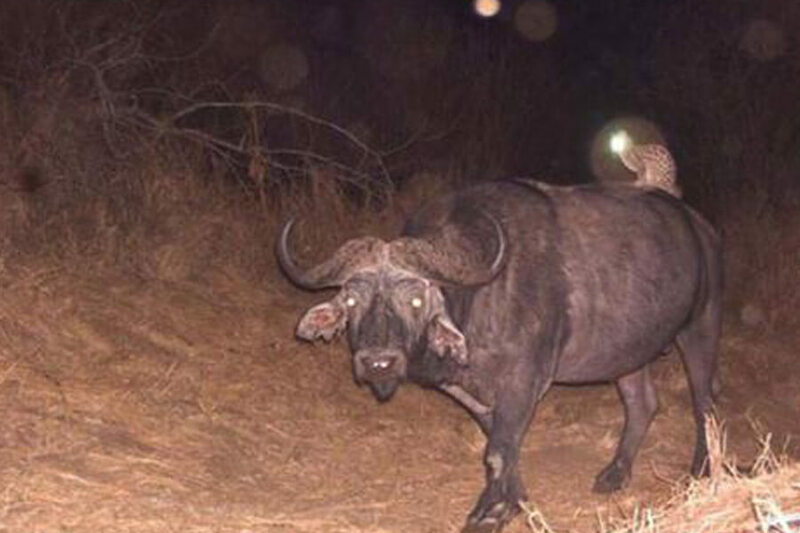 Both the buffalo and cat are looking straight into the camera. How long does it take the camera to take the picture after the light flashes on? 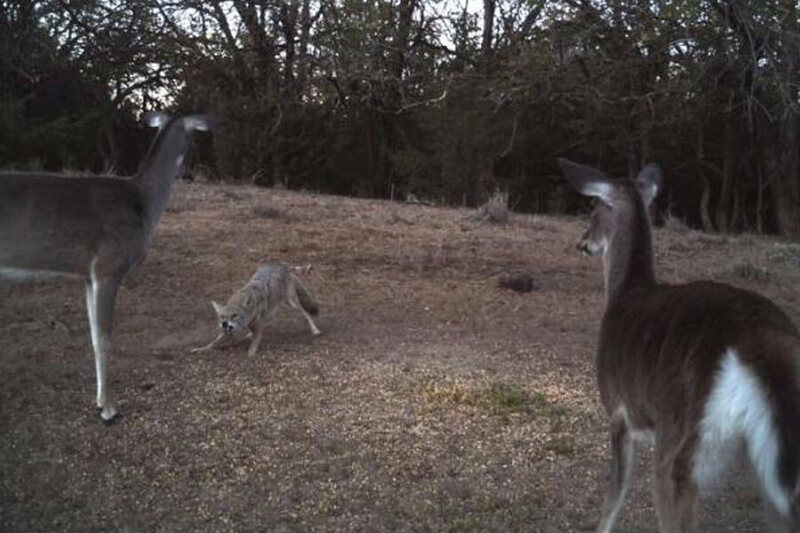 This coyote got more than it bargained for when it came across two deer with zero interest in becoming lunch. They’re standing their ground, and the coyote is close to running. Before that, it’s going to try every growl in the book to get the high ground back. We think the coyote should probably just stick its tail between its legs and leave though. This battle was lost before it ever really began. Sorry, buddy. 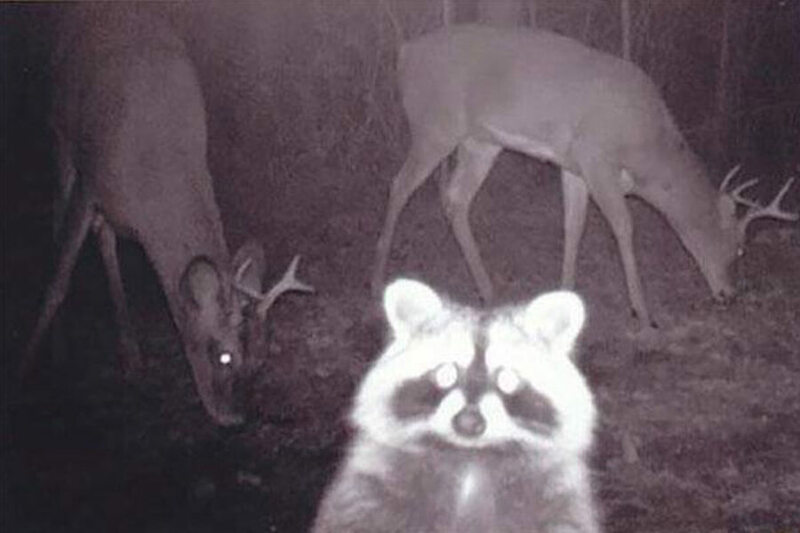 Coming up, animals get revenge on the trail cam! What Happens When Nature Has Had Enough! This trail cam had a good run. According to the owner, this was the last picture taken before the camera was smashed and broken. Nature knows you’re watching, and it’s finally had enough! This picture is real. The blue sky is blown out in the background, and the tiger isn’t very well lit, giving the poorly exposed picture a surrealist feel like no other. Normally we’d be mad to see such an amateur picture taken of nature, but this one is oddly beautiful. The heat the trail cam was exposed to at the time didn’t help either. 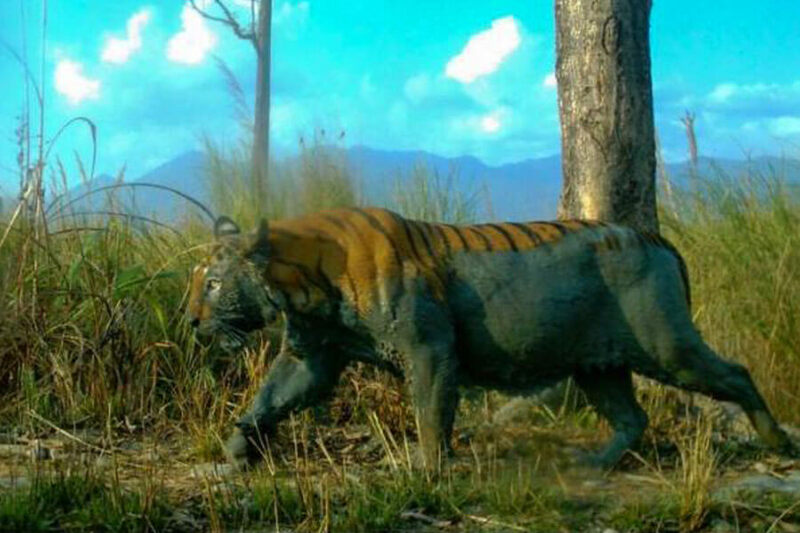 The tiger must have been hot, or it wouldn’t have dipped half its body in mud to cool down. It’s not going to be very happy when all that mud dries. Wild Uber isn’t just for the buffalo. This raccoon didn’t feel like walking to meet up with its friend, so it called an Uber instead. 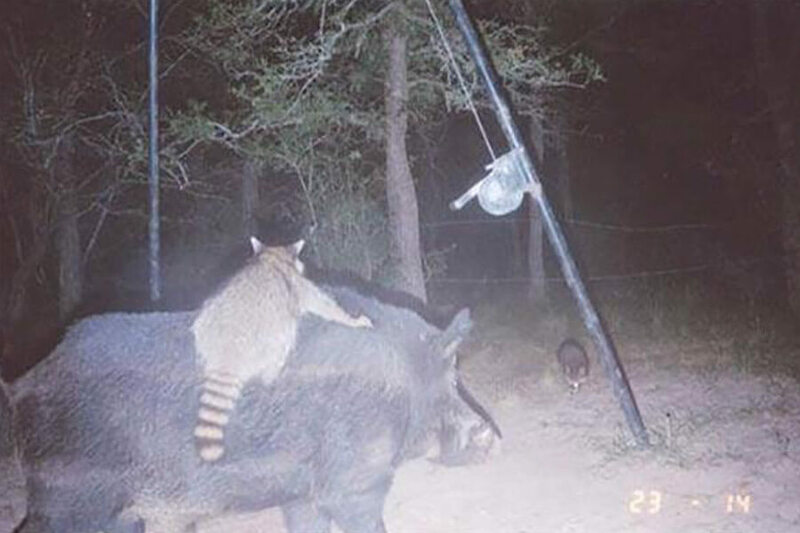 The swine seen above was more than happy to take the raccoon to its destination for a fair rate. Now that these raccoons are together, who knows what trouble they’re going to get into. Their ride should stay close; just in case they need help getting home at 4 a.m.! We had no idea Golden Corals existed in the wild! These deer have one, and they are eating all they can. 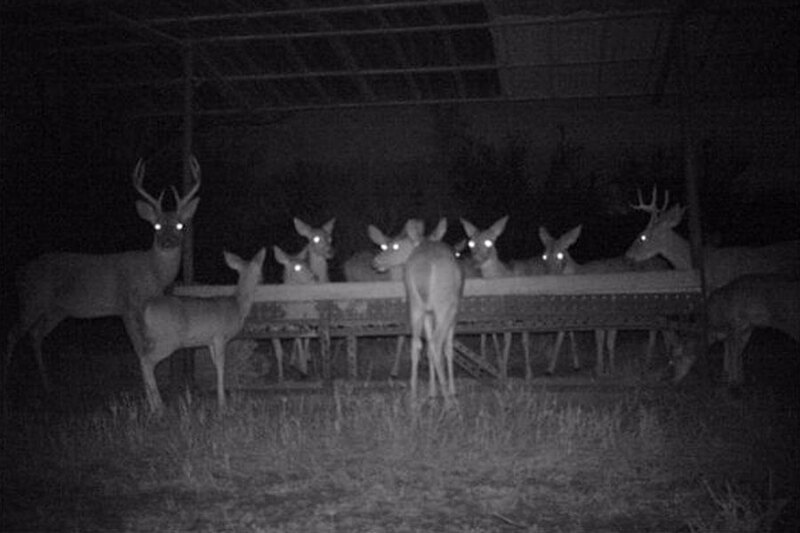 Even getting caught by the trail cam won’t stop these ravenous herbivores! They’re looking straight into the camera with pure defiance. This is their meal now, try and stop them. Somehow few things in this world are scarier than normally harmless animals looking straight into your soul with glowing eyes. Eat, please! We don’t want any trouble. What an incredible moment caught on camera. This coyote had its dinner cornered and was about to go in for the kill. Then, out of nowhere, this raccoon lept to safety on a nearby tree, narrowly avoiding the jaws of death! The timing of this picture takes our breath away. We’d love to see the rest of what was taken. This is a great movie poster, but we want to see the whole movie. 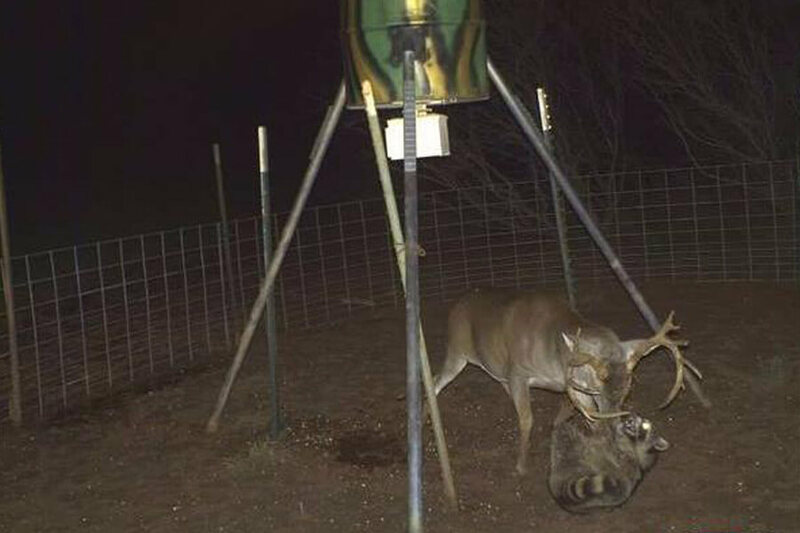 This deer and raccoon came across the same feeder at the same time. Sadly, there’s only enough food for one of them. Sharing is caring, but sometimes it’s every animal for themselves. 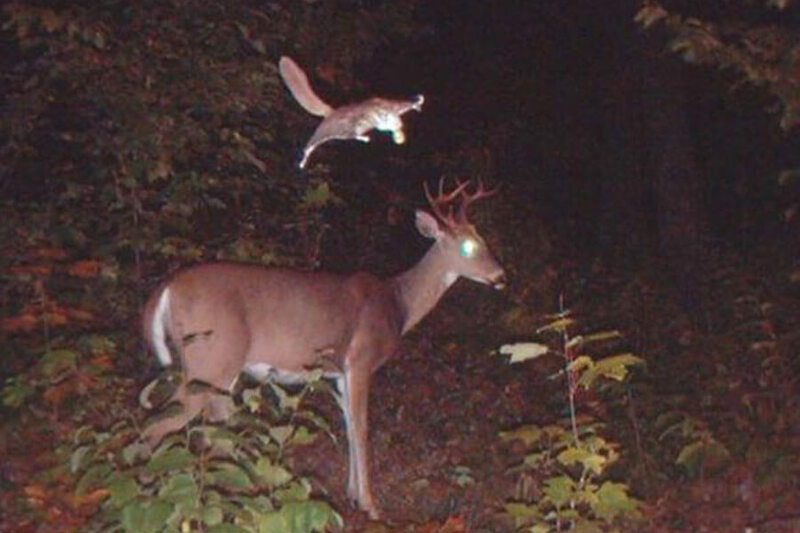 The deer has the advantage in this picture, but never count out a raccoon. One good scratch could turn the tide in the raccoon’s favor. Hopefully, this deer has good health insurance. It might need a few stitches! This battle is truly one for the ages. 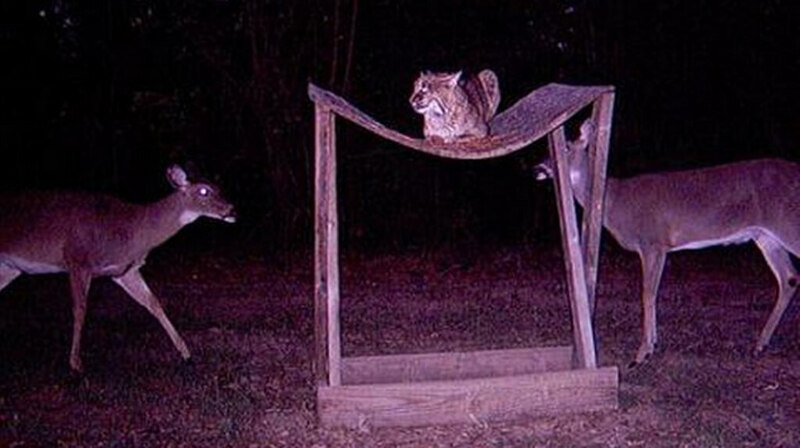 This cat is just trying to enjoy itself on its little hammock when these two deer came along and ruined all of the fun. Luckily for the cat, deer don’t eat meat, so it should count its blessing. Those could easily be bears or wolves instead of cute little deer. That being said, these deer still look like they’re up to no good and that cat probably won’t be in the hammock for much longer. While at first, you might just think that this is a screenshot of a deer running through the forest. Yet, If you look closely, you’ll notice the menacing-looking flying squirrel chasing after it. That squirrel’s eyes are enough to make some of the bravest men run away in fear, so we don’t blame the deer for looking so panicked. We just hope that it got away quick enough to be on the squirrel’s dinner menu. 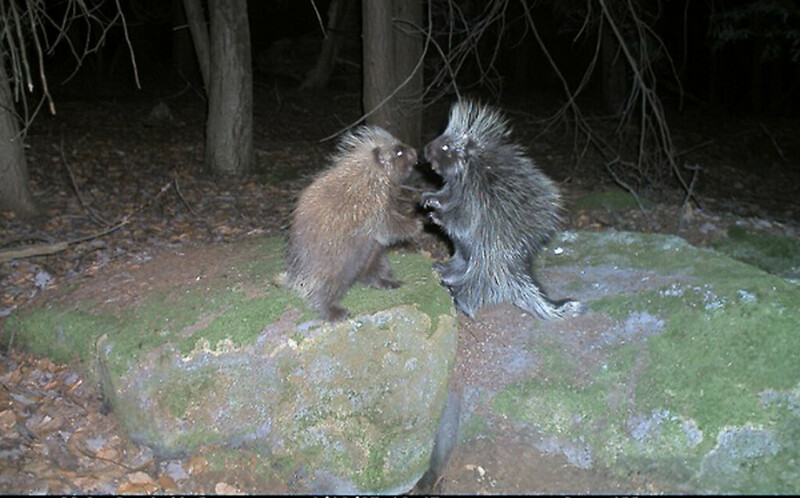 We don’t think that these two porcupines were caught sharing a smooch in front of the trail cam by coincidence. 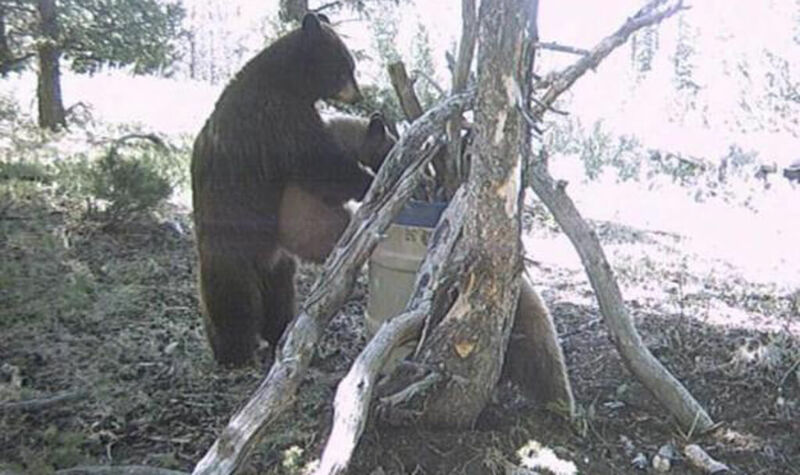 We think that they wanted to show the world that they’re together, and the trail cam was their best option. They better be careful, there’s a lot of predators that would like to stumble upon two animals that are preoccupied with playing tonsil hockey and aren’t paying attention to their surroundings. We wonder how they’re doing today. 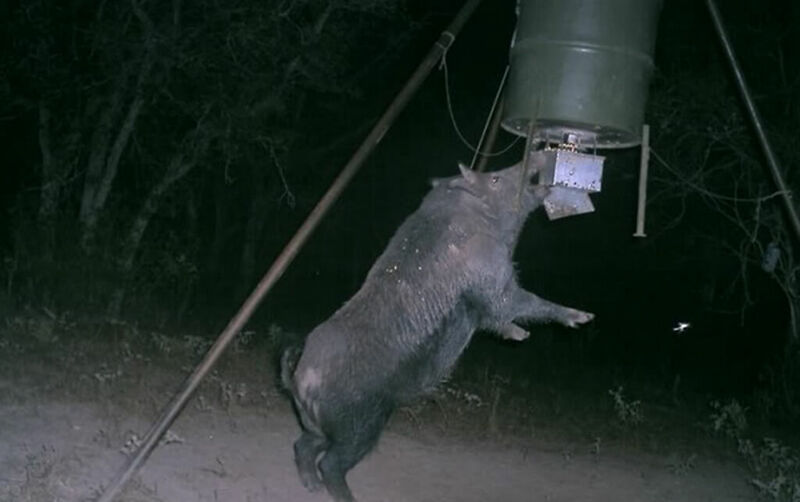 Fortunately, for this wild pig, some hunters figured that they had hung their food up high enough from the animals on the ground. They’re going to have a rough morning when they wake up only to see that a pig has eaten and destroyed all of their food. They might as well pack up everything and head home. We’re willing to bet that someone convinced the others that it was hung high enough and are to blame for this situation. If you’ve never seen an alien abduction, now you can say that you have. We don’t have any other explanation for this picture. We assume that one second the deer was there, and the next, it was gone. We wonder that if any other animals have been abducted from this same spot. If so, somebody better go check around that camera and hope they don’t get abducted as well! Hopefully, someone has video evidence to see what actually happened. This could play out one of two ways. Either this little bunny is about to meet its maker after being attacked by the mountain lion, or it will escape in the last second. 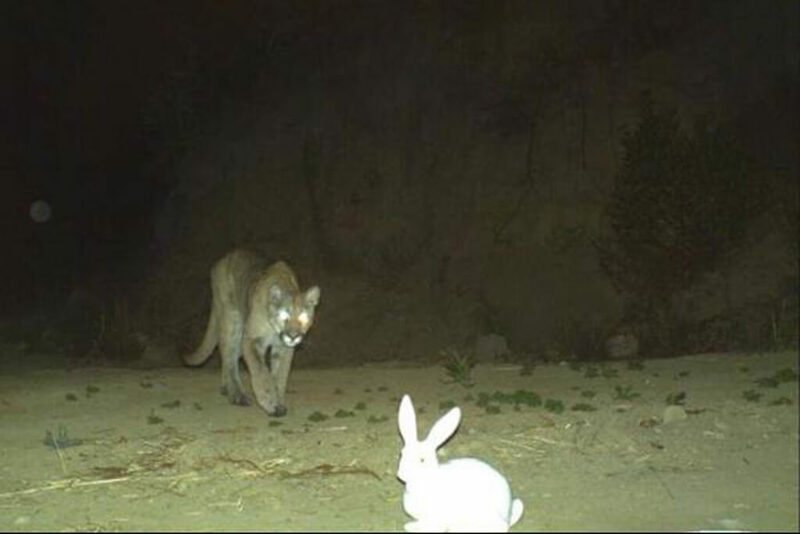 While we don’t want the mountain lion to go hungry, we also don’t want the rabbit to die. But hey, that’s the circle of life. Also, considering how quick rabbits are, chances are that it got away just fine. If we didn’t know better, we’d think that this deer is whispering something to the other deer that’s caught its attention. Odds are, it’s really just licking behind its ear for them, or maybe these two deer are partners. We’re just glad that they decided to do this right in front of the camera so that we can see it. They sure do look like a cute couple if you ask me. 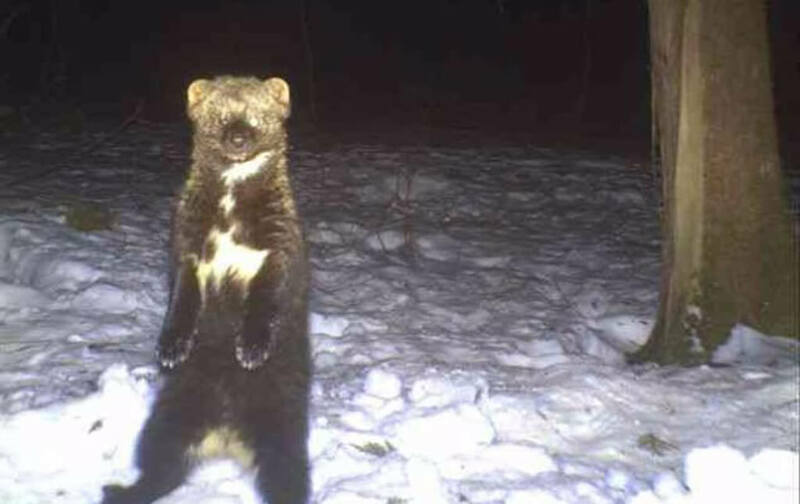 At a glance, this furry creature looks like a bear cub, but it’s actually a large marten. These mammals can be quite destructive, as they have a tendency to chew on things like cars. People who live in areas where martens live can even purchase special marten-damage insurance. They are solitary animals and can be found in the alpine tundra of the Northern Hemisphere. Their fur is prized by trappers. 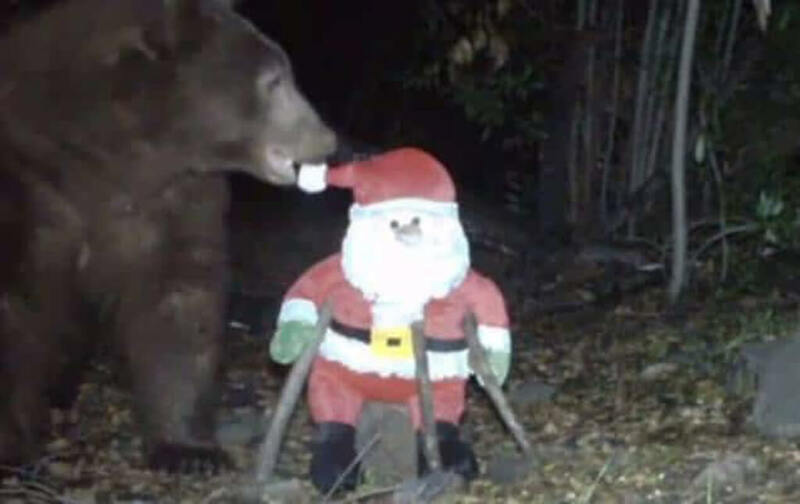 Looks like somebody put this stuffed Santa Clause directly in front the trail cam to see what would happen. Instead of curious deer coming and having a look, it appears that a bear took particular interest and decided to take it for its own. Somehwere, that toy Santa is probably inside of a bear cave and has been there for a while. That’s the most festive bear that we’ve ever seen. Somebody should bring it some other Christmas decorations. 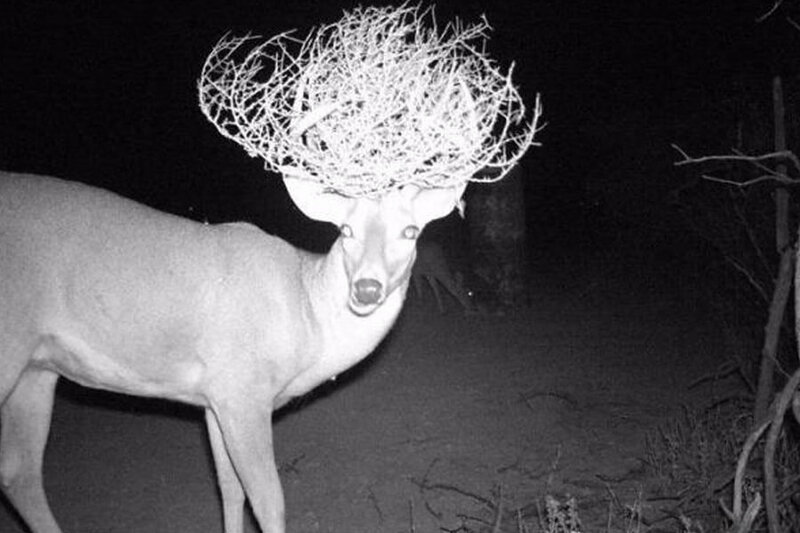 We’re not sure what’s going on with this deer, but it looks like it got hit by an invisible truck. Judging by how the other deer are reacting, we can guess that this isn’t an unusual occurrence. They’re probably talking to each other saying “he’s doing it again” and rolling their eyes. Whether the deer actually has issues or just wants attention, we’re glad that this camera caught it at the perfect moment. 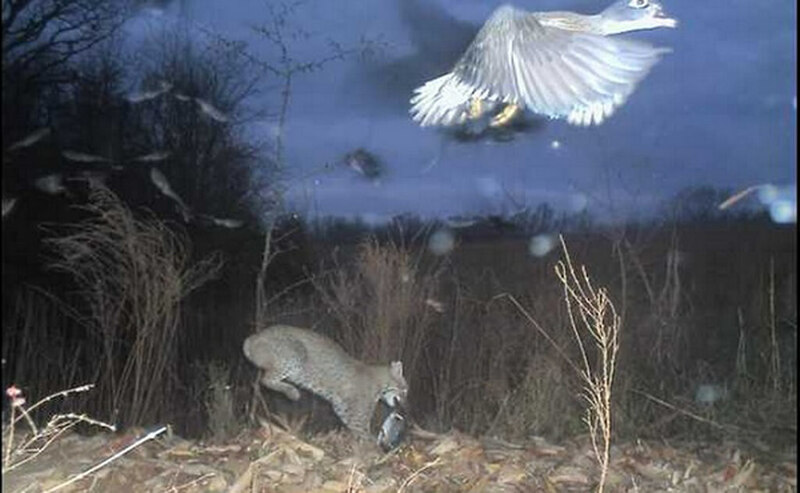 We’ve all heard packs of coyotes and wolves before, but we’ve never actually seen it caught on camera. Here, three coyotes are howling at the moon and they’re putting on quite the show. Coyotes howl in order to keep in touch with other coyotes in the area, or in order to make a threat when they’re protecting their den or a new kill. 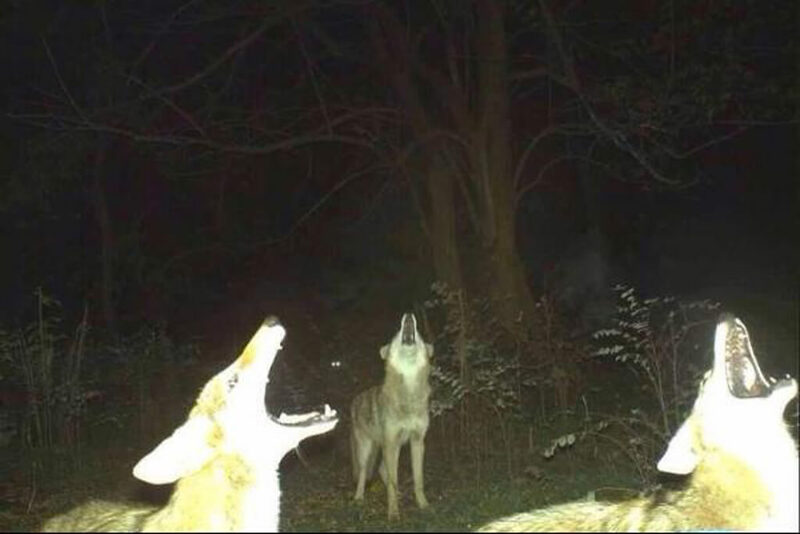 It looks like these three are just communicating with fellow Coyotes. 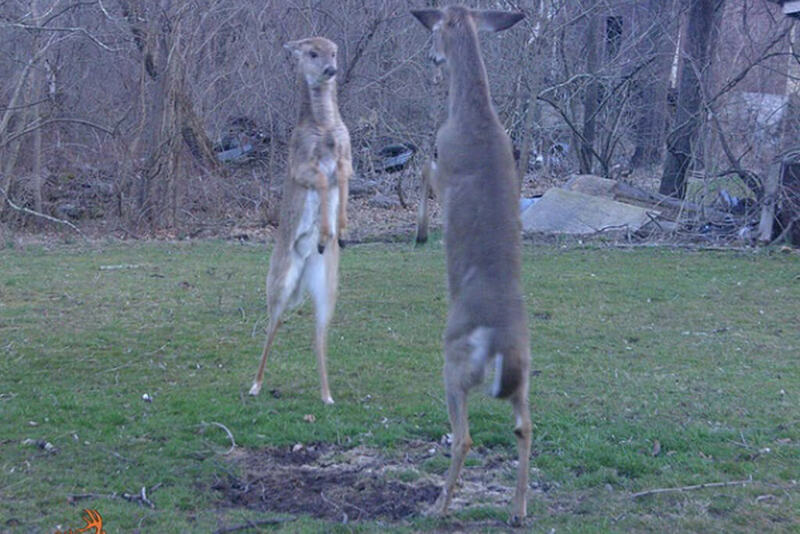 We’re not too sure what these two deer are doing, but we doubt that they’re being friendly with one another. It looks like they’re about to start boxing each other which would be a sight to see. We have our money on the deer on the left. 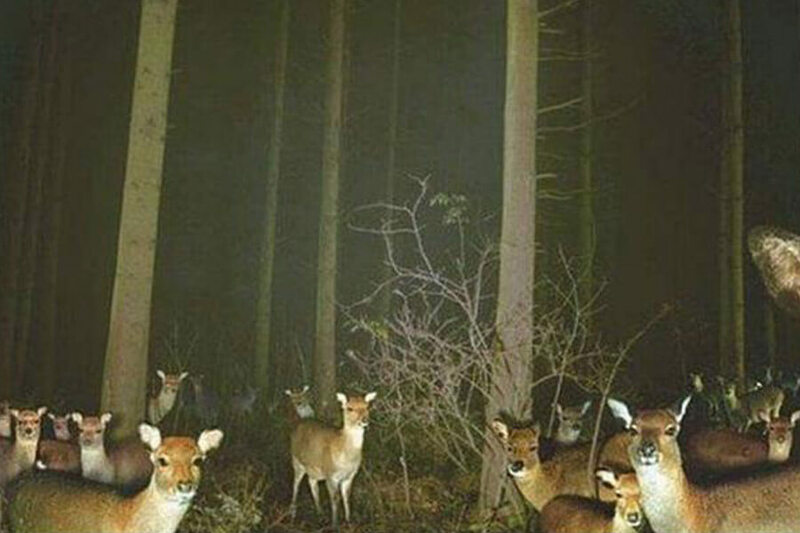 This picture makes you wonder what deer are really doing when they’re alone in the wild. 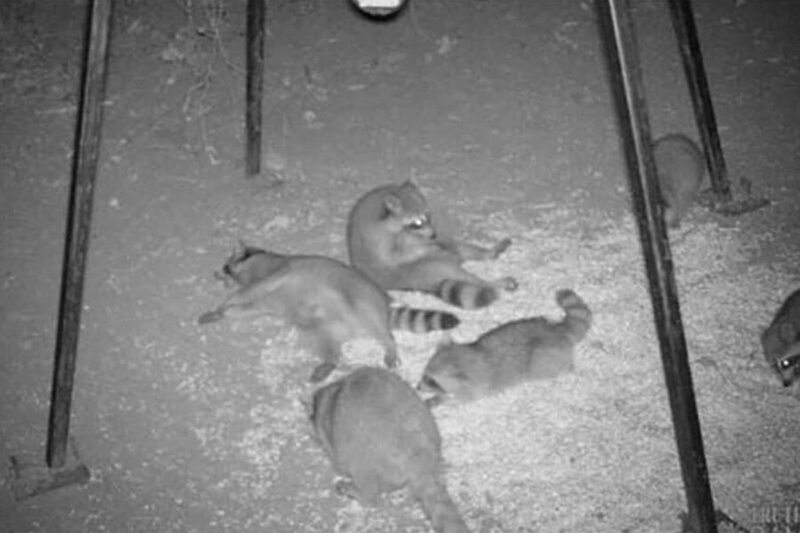 These trail cams are really giving us some insight into what animals are really up to in their natural habitat. This little squirrel was just out and about minding its own business when things went south. It was swooped up by a hawk, one of the main predators that it has tried to avoid its entire life. it’s not really a fair fight, to begin with. Although squirrels are fast, hawks can fly and are even faster and much more fierce. It also doesn’t help the squirrel that they can be silent and can swoop down without making a sound. Looks like this deer was trying to either protect its food or its young. It has a very aggressive look on its face, so if I was that fox, I’d really put it in gear to get out of there. The deer’s antlers look like they could really do some damage, so that fox better hope it can escape in the undergrowth because that deer looks like it means business. Not to mention that getting stomped on by those hooves could be deadly. 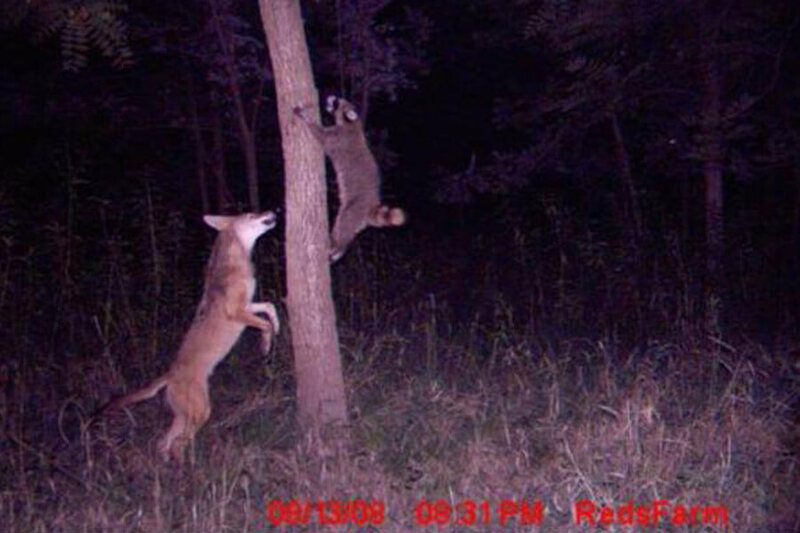 This trail cam really caught an image of some serious action in the wilderness. A wild lynx runs off with a fresh kill as a duck flies right overhead. The duck should count its blessings because it just as easily could have been him in the lynx’s mouth. It’s a dog eat dog world in the wilderness, and this picture perfectly sums up how things are in nature. Makes you thankful that we aren’t worried about being someone’s dinner all of the time. While these two deer are proving their manhood, little do they know that they have an audience gathering in the back. We’re not entirely sure what kind of animals they are, but they sure look very interested in the fight. For all we know, they could be making bets over there and exchanging nuts that they’ve found while foraging on the forest floor. Maybe this is a nightly tradition that the animals do for entertainment. 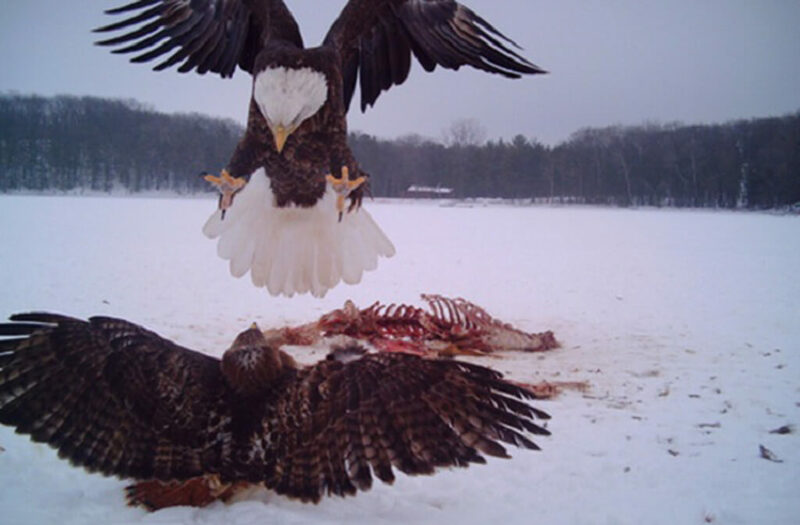 Here, a bald eagle swoops down and challenges a smaller and less fierce bird for its kill. Although we don’t know how the whole situation turned out, we can assume that the bald eagle either killed or scared away the other bird. It’s likely that it even took the carcass back to its nest so that it wouldn’t be bothered by anyone else. We wouldn’t expect anything less from a bald eagle. if you’re a bald eagle, you can just let other animals do your hunting for you. Moose are the largest extant species in the deer family. Currently, most Moose can be found in Canada, Alaska, New England, and parts of Eastern Europe. Although moose are hunted by the grey wolf, bears, and humans, they have also known to be extremely aggressive and deadly at times. Especially during the mating season in the fall, you do not want to find yourself face-to-face with a moose. 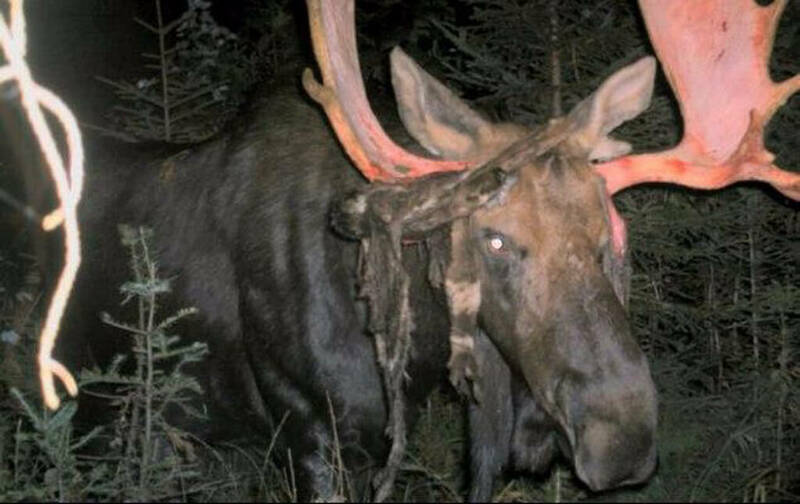 As if this moose isn’t scary enough, if this picture was taken during the mating season, it’s a good thing that no one was there. 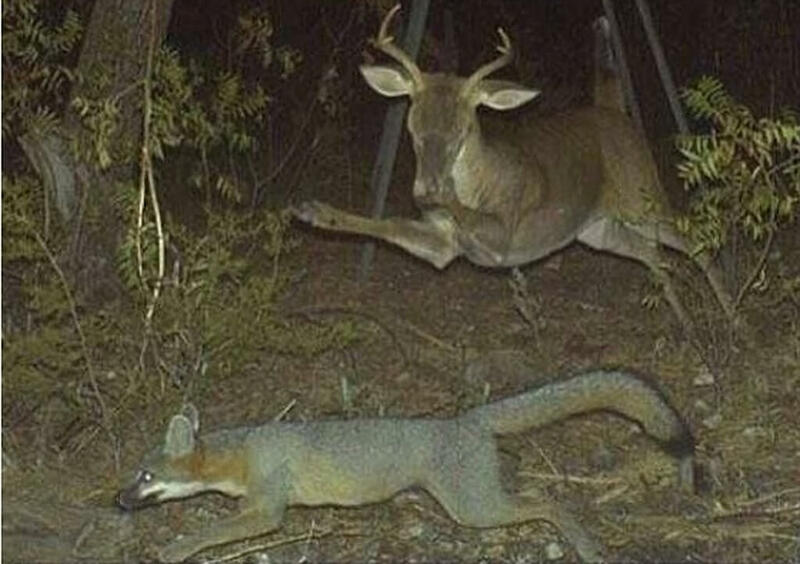 This buck is fighting for its life against what looks like a coyote, wold, or a dog. 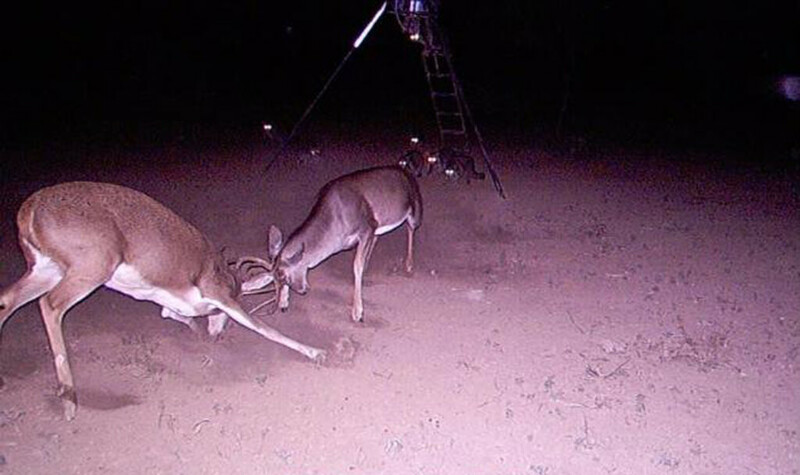 You can see by the bite marks on the back of the buck’s legs that this fight has been going on for some time. But by the looks of it, it seems like the buck has the upper hand. The other animal appears to be cowering away from it and is maybe even thinking about running away. 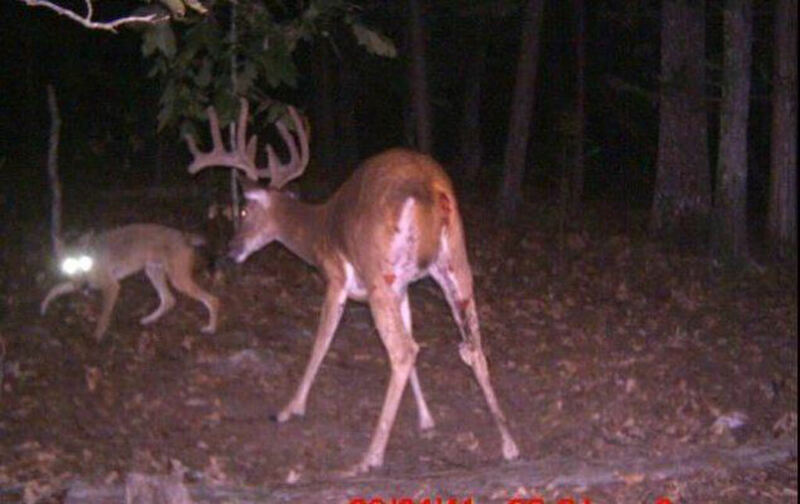 Looks like this buck is going to live another day. We know that mother bears take extremely good care of their young, but we’ve never seen them pick up a cub like a human does a baby. Here, a mother bear lifts her cub up to get a better look at something or maybe get something to eat. Imagine stumbling upon this while on a hike in the forest. Maybe the bear saw a human doing this and she decided to try it out for themselves. Fox Vs. Fox… Who Will Win? Foxes are a common sight on these nighttime trail cams. 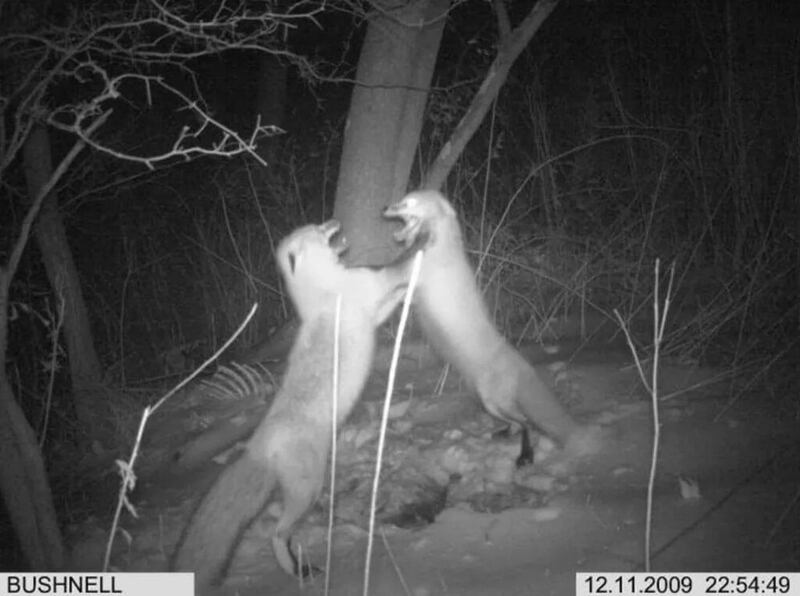 But it’s not so common to find a photo like this, of two foxes engaged in paw-to-paw combat while standing upright. You can almost hear them hissing at each other! If you’re a lover, and not a fighter, you can just pretend these two are having a “friendly” and “civilized” discussion about politics. Because THOSE kind of talks are usually pretty polite these days, right? Actually, their facial expressions look about right for a political debate.